Ken Yackel was elected into the United States Hockey Hall of Fame in 1986. He scored 30 goals and 84 points in 123 games with the Reds from 1958 to 1960. In 1961 he moved to the International Hockey League to play with his hometown Minneapolis Millers where he captured the IHL scoring title. A year later, he set a personal high in goals, when he hit the nets for 50, and in 1963 hit the century mark in scoring for the second time in three years. Yackel was a member of the United States silver medalist team at the 1952 Olympics and coached the United States National Team at the World Championships in 1965. 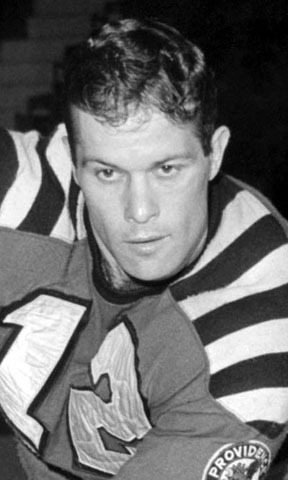 While he played just 6 games with the Boston Bruins in his only NHL stint, in doing so he became only the second American-developed player to appear in the NHL during the 1950s.